SPÄNEX GmbH is at LIGNA 2017 in Hannover to showcase its comprehensive range of briquetting presses, which it is expanding with the new SHB-RS series. Briquetting presses are machines that compress various small pieces of material into a handy format - the briquette. Originally used mainly to produce coal briquettes from lignite or coal dust, increasingly other materials are also being used nowadays, particularly wood, which is enjoying renewed popularity as a biofuel. 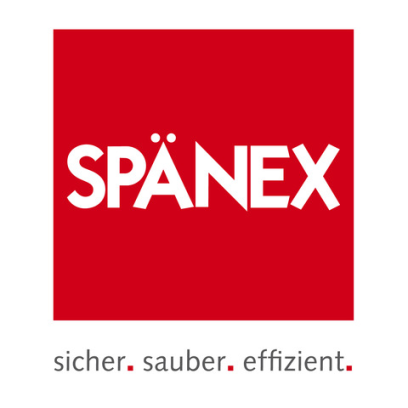 SPÄNEX GmbH, based in Uslar in Germany’s Lower Saxony region, is a traditional supplier of a comprehensive range of briquetting presses. It has now expanded this with the new SHB-RS series, which it is unveiling at LIGNA 2017. The new SHB-RS series combines SPÄNEX's familiar and proven press technology with a newly developed feeding system using a metering screw. The material properties are taken into account when metering is performed, so no matter whether it's lightweight wood chips or pure dust, the metering screw always ensures consistently high throughput. The hydraulic circuit features a high-performance pump, while the oil cooler, which is also integrated, doesn’t require its own pump, thanks to the energy-saving connection to the oil return. The cooling fan's connection to the main motor also eliminates the need for a separate drive.